Martina Hamilton is a beautiful award winning artisan who lives and creates in Sligo Ireland. Martina's contemporary designs are inspired by the stunning and ever-changing Atlantic coastal landscape where she lives. Basil-ltd carries Martina's heritage inspired collection which includes Ogham pendants with beautiful messages of love. One says Gra (Love in Gaelic) and the long Mo Anam Cara (My Soul Mate in Gaelic). 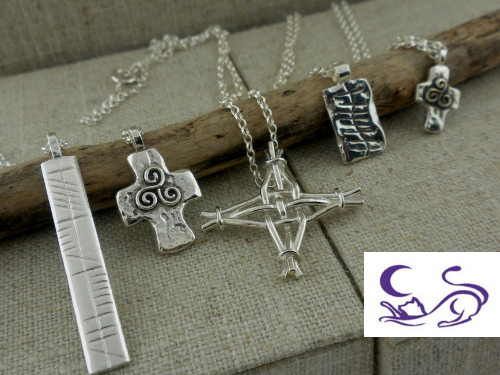 St. Bridget Crosses in two sizes, Newgrange Spiral Cross and my personal favorite is the Bale of Rushes earrings. 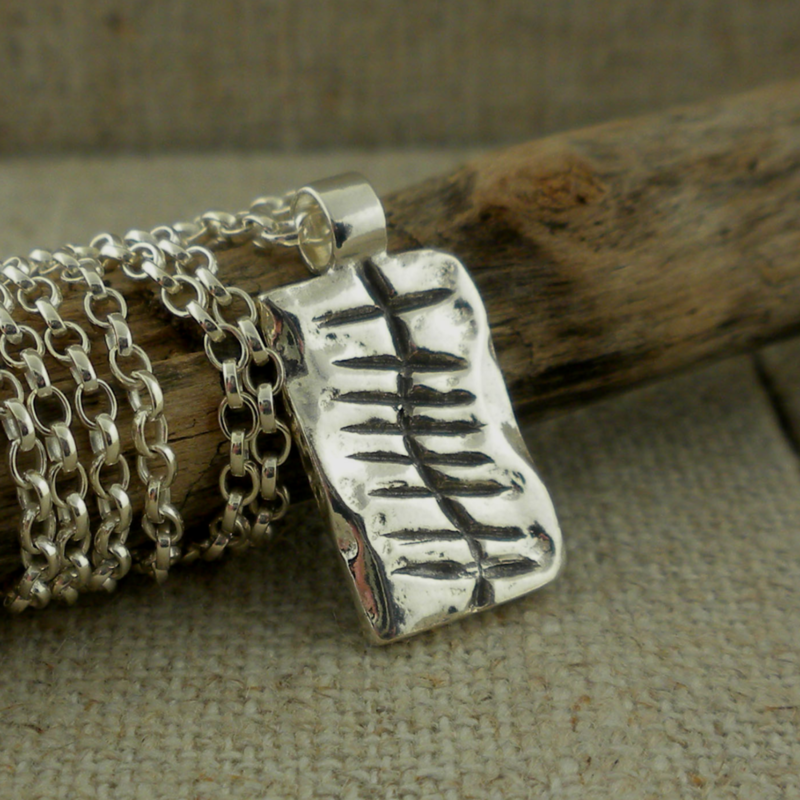 The long Ogham Pendant can be personalized ($20.00 custom fee) with up to 15 characters. 10% off Use the code SLAINTE at checkout. ( Limited Time) & Free Shipping within the USA!